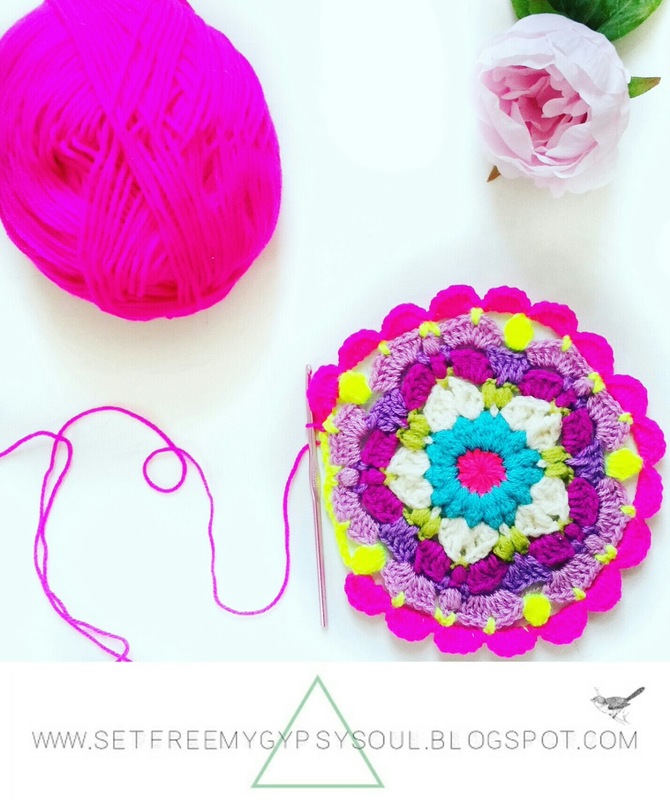 Meet Peggy in Pink, this week's Monday Mandala with a floral star flower centre and yummy bobble frill edging. 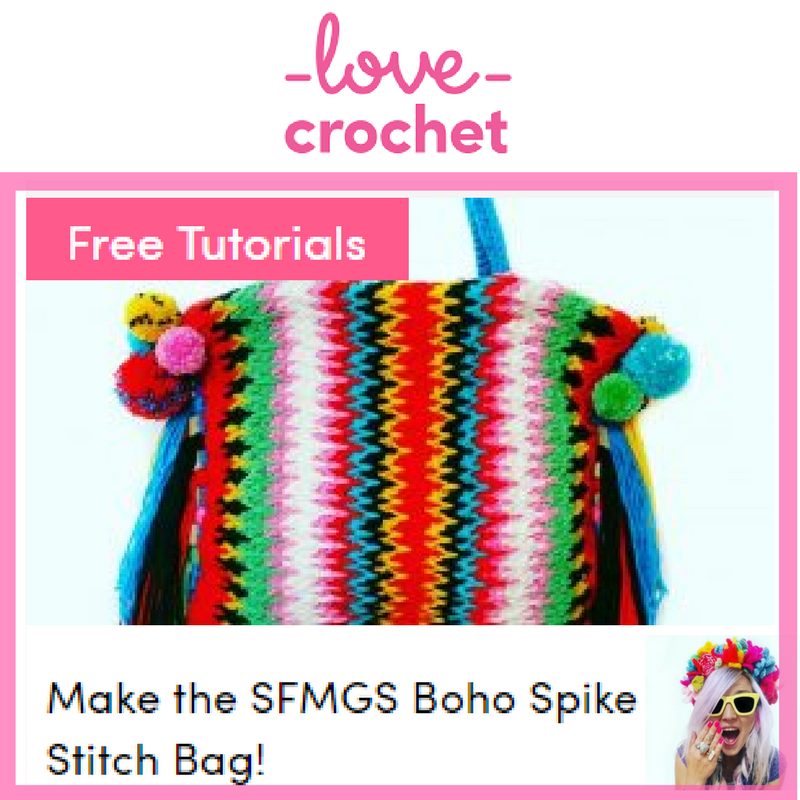 Easy to make using a combo of puff stitch, bobble stitch and treble crochet. 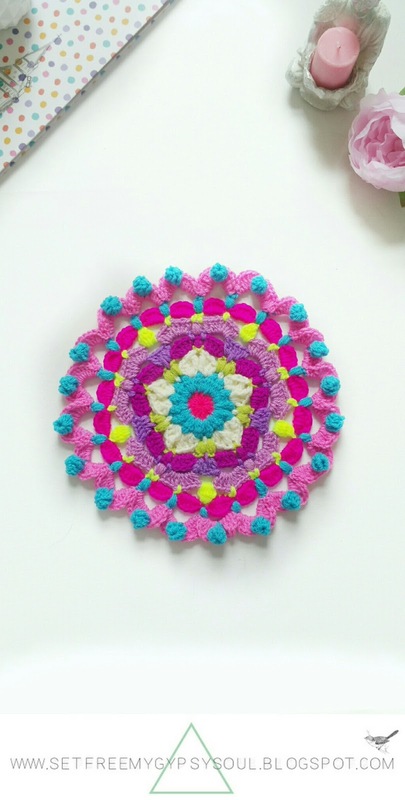 This Peggy in Pink crochet mandala is worked around a pretty star flower design with a puff stitch theme. 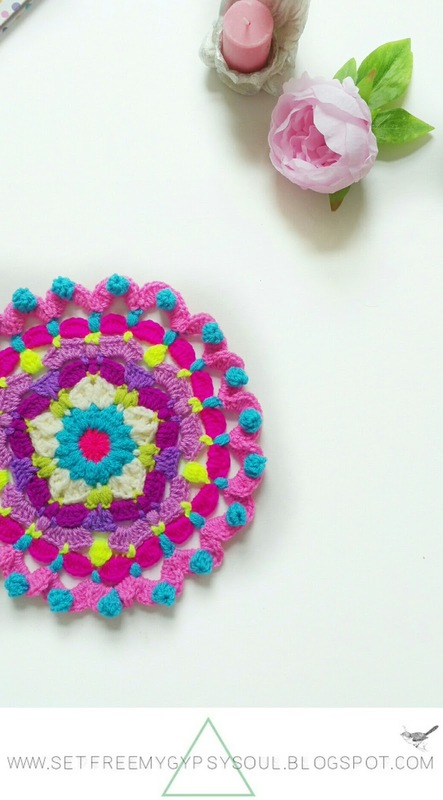 I made this fun boho floral mandala using my favourite 4.5 mm hook and mostly DK yarn from +Hobbycraft +Red Heart and #Stylecraft... And she measures approx. 9"
There are a few puff crochet stitches in unusual places so if you need any help at all, please don't hesitate to get in touch on Instagram @setfreemygypsys0ul or across other social media! Round 1: Make a magic loop and chain 3. This counts as your first treble (US dc). Make another 15 treble crochets (US dc) into the loop. 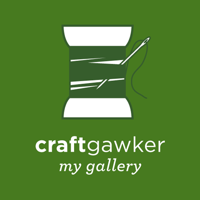 Join and cast off with slip stitch. Round 2: Turn your work and cast on in any space. Chain 2 and make a 6 y/o bobble stitch into each space. 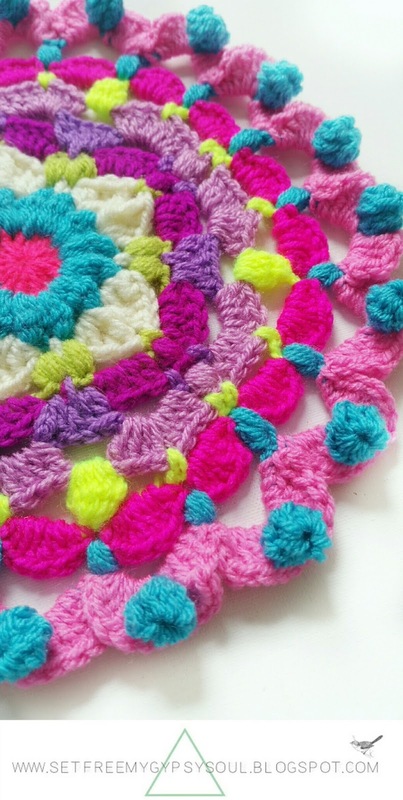 See how I make bobble stitch in my Daisy Dukes Flower Granny Square pattern by clicking here. Join with slip stich, cast off and weave in ends. Round 3: Cast on in any space between bobble and chain 1. I used a thicker weight Aran yarn for this round for added texture but DK is just as awesome too. 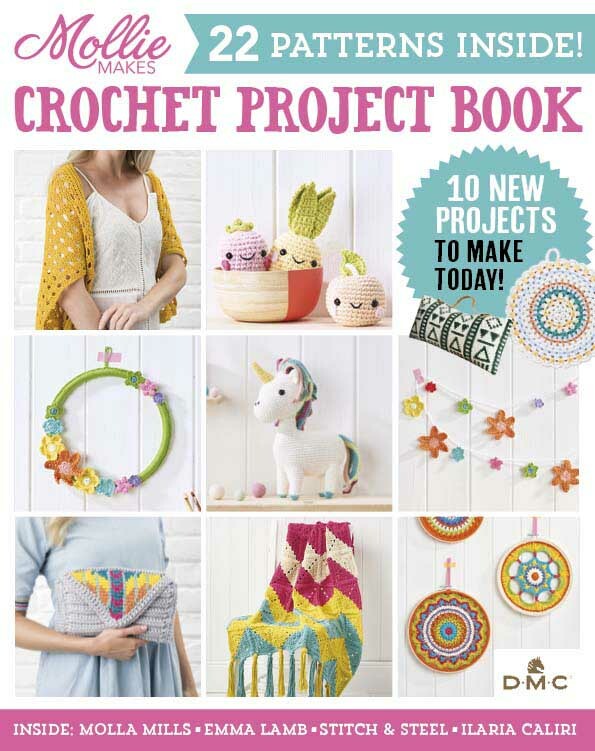 In the next space, make a htc (US hdc) followed by 2 treble crochets (US dc) and 2 double trebles crochets (US treble). In the next space, repeat 2 double treble crochets (US treble) followed by 2 trebles (US dc) and a double crochet (US single). Repeat this pattern around the work 4 more times. Round 4: Cast on and make a 4 y/o puff stitch into any space between double crochets (US single). Make another one right into the next space and chain 4. 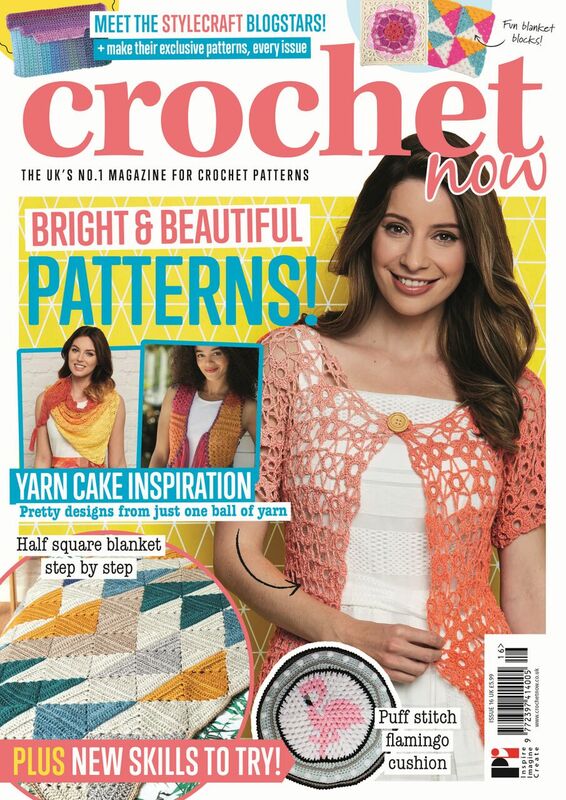 Now make a loose double crochet into the 2 ch space from Round 3. Don't make this too tight as in the next round we will putting a puff stitch right through the middle of it! Chain 4 again and make another set of puff stitches into the next two spaces. repeat around the work. Join with slip stitch and cast off, weaving in ends. Round 5: Cast on between two of those round 4 puff stitches and make a htc (US hdc) into next space/ loop followed by 4 trebles. Chain 1. Make another 4 y/o puff right through the centre of your double crochet (US single) from Round 4. Now in your next loop, make another 4 trebles (US dc), a htc (US hdc) and a double crochet (US single) in between that pair of Round 4 puffs. Make another treble (US dc) and then spike stitch down in between the pair of puffs on Round 4. Complete the larksfoot stitch with another 2 treble crochets (US double) in next space and chain 4. Double crochet into space just before the puff. Chain 3 and double crochet (US single) into the next space. Repeat around the growing mandala. Round 7: Cast on in one of the little loops you just made in Round 6 and make 5 y/o puff stitch into that loop. Then chain 1 and make 8 trebles (US dc) into the next space. Chain 1 and make another 8 trebles (US dc) into the next space. Chain 1 and make another puff into the little loop... repeat around the work. 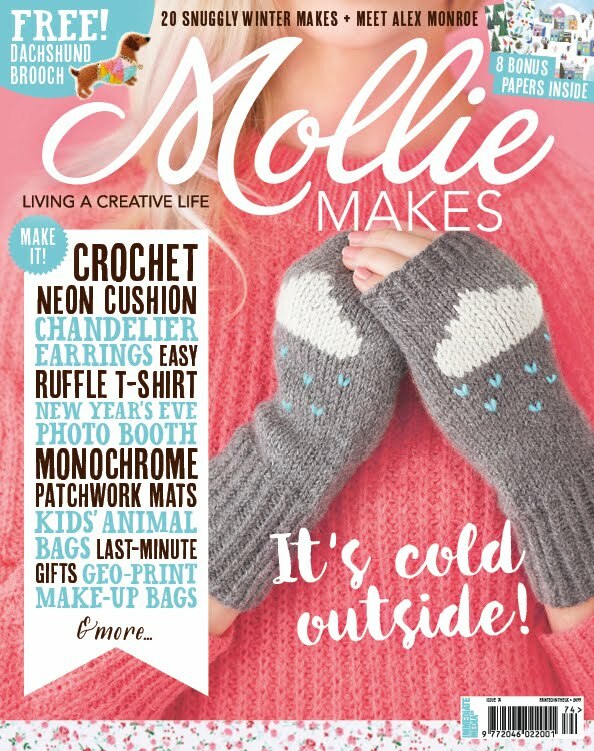 Round 8: Turn your work and cast on in any space above a granny spike and make a 6/yo bobble stitch followed by a chain 4 and a double crochet (US single) into middle of your trebles from round 7. There should be 4 stitches either side. Then chain 4, and make a double crochet (US single) either side of the puff. Chain 4, double crochet (US single), chain 4 and make a bobble stitch. Repeat this around the mandala. Round 9: Flip your work back to the right side, and cast on next to a bobble stitch. Chain 1 and the make a htc (US hdc), followed by 4 treble crochets (US dc), a htc (US hdc) and end with a double crochet (US single) all into the same space. Repeat this dc, htc, 4 tc, htc, dc into each loop around the work to make a shell pattern. Round 10: Cast on in the space between your shells and make a 4 y/o puff stitch. Chain 7 and then to make the pom pom, yarn over and insert your hook into the 4th chain and make a 5 y/o bobble stitch. Chain 3, yarn over and insert hook into chain 1 and make another bobble stitch. 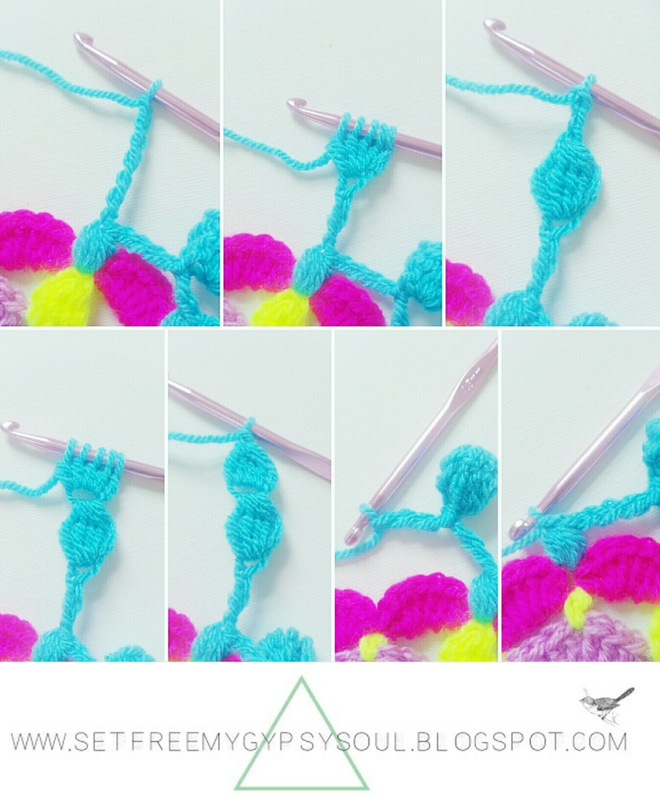 Flip your two bobbles together to make the pom pom and join with slip stitch. Chain 4 and go straight into another 4 y/o puff in the next space between shells. Repeat around the whole mandala. Cast off with slip stitch and weave in ends. Now put a htc (US hdc) into the space followed by 6 trebles (US dc). To embed your cute little pompom is really easy! As you make your stitch, just hold it forward with your thumb. So... after going behind the pom pom, make another 6 trebles (US dc) into the loop followed by 1 htc (US hdc) and finish with a double crochet. Repeat all around the work. Cast off with slip stitch and weave in ends. 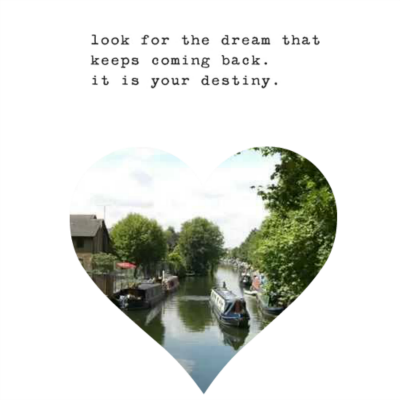 And don't forget to show me your Peggy in Pink crochet mandalas on Instagram by tagging me @setfreemygypsys0ul or using the hashtag #SFMGS. If you enjoyed this pattern... be sure to tell all your fellow #crochetaddicts using the platform of your choice just down below. I'm having trouble with round4 Puff stitch how many yo?.love the pattern thanx! Oh my... I'm so sorry! I missed the number didn't I?! A 4 y/o puff in there ... so glad you like the pattern. I'd love to see your finished mandala!